Arts at the Clinic participants at work on card designs. 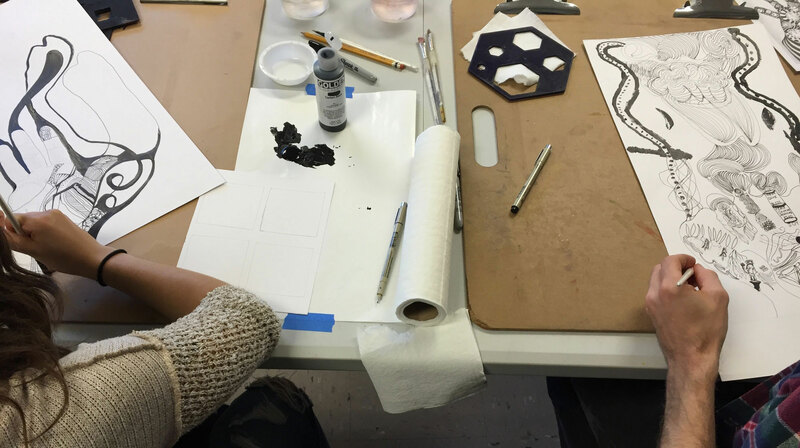 Art in Health programs encourage inquiry and learning as a key component of initiatives. Our programs also host graduate and undergraduate thesis studies and projects and encourage innovative problem solving. 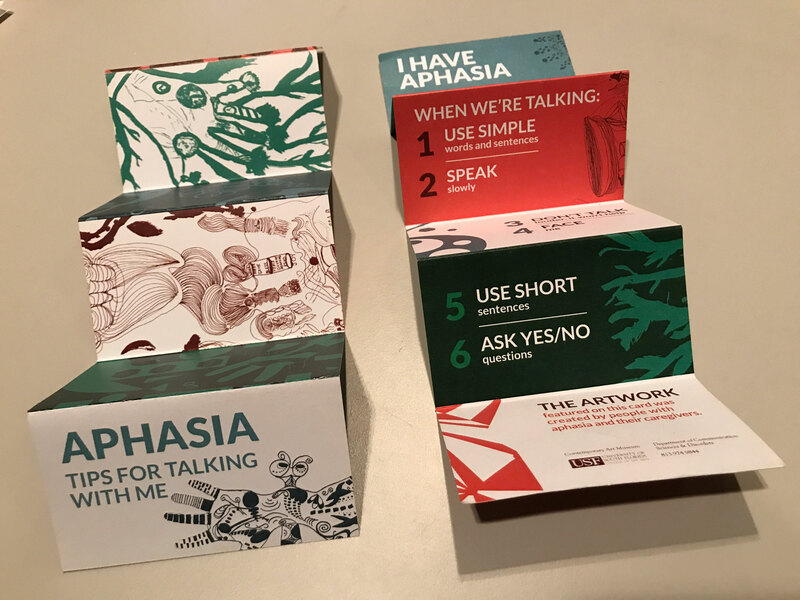 This card aid communication for use by people with Aphasia was collaboratively developed with Intern Facilitator, Jennifer Livaudais, Spring ’16, as part of her Graphic Design Senior Thesis project. Aphasia clients, Caregivers and USF Department of Communication Science and Disorders Clinicians participated in arts- based sessions to learn basic design elements and create motifs, determine a useful format for a communication aid and card content. The card, one part of the project NO WORDS: GRAPHIC DESIGN + APHASIA, has since been printed in quantity by the department and is now widely distributed at conferences, in healthcare provider offices and online for client use and sharing. For more information on Art in Health Programming and to apply for internships, graduate projects or volunteer opportunities: email AIH-info@usf.edu.